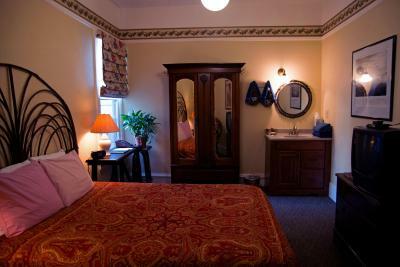 Lock in a great price for The Willows Inn – rated 9 by recent guests! The room was very comfortable and especially clean. Staff were warm and helpful. Breakfast choices were wide. The hospitality was excellent. Thank you for the experience. Mike made me feel so welcomed and offered directions and recommendations. I enjoyed sharing breakfast with others who stayed there. The staff is attentive to needs, proactive with just the right amount of communication about what the visitor needs to know. The place is beautiful and quaint, and the location is great. Staff was super friendly and informative. Nicely decorated and very clean. Stocked pantry for the guests is a wonderful touch. Nice toiletries provided. No a/c but a fan so they have thought of everything. Friendly staff, great location. The warmth of the atmosphere makes you feel like you’re back in time. Staff was incredibly friendly and helpful with suggestions on places to go, things to see, places to eat. Breakfast provided was nice and gave time to get to know other guests. 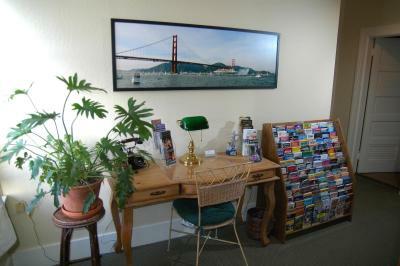 Very convenient to public transport as well as Castro and Haight-Ashbury areas. The staff is so friendly and helpful. You can't beat the location if you're visiting the Castro. Everything is very clean and well kept. The only knock on the comfort score is just that the building is old and you have to share a bathroom... but that also keeps the prices down. I've made lots of friends sitting around in the common breakfast room that is very well supplied. I'll keep coming back! Very nice home situated in the Castro. Waking distance to every where. Limited parking by great location , very friendly help staff. 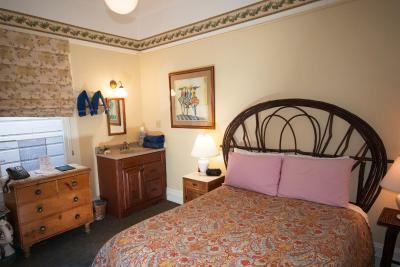 Rooms are kept clean and cozy just be aware that bathrooms are shared but this doesn’t take away from the coziness of the inn. 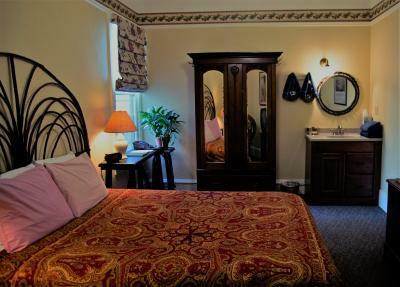 The Willows Inn This rating is a reflection of how the property compares to the industry standard when it comes to price, facilities and services available. It's based on a self-evaluation by the property. Use this rating to help choose your stay! One of our best sellers in San Francisco! 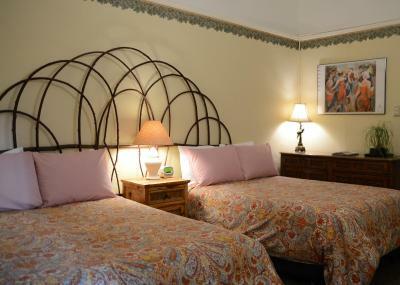 Located in San Francisco, The Willows Inn has free WiFi, 1.2 miles from San Francisco City Hall. 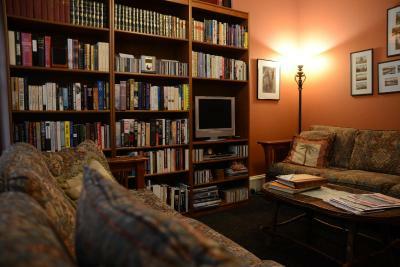 University of San Francisco is 1.7 miles from the bed and breakfast. The nearest airport is San Francisco International Airport, 14 miles from The Willows Inn. 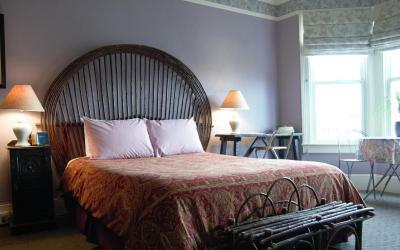 When would you like to stay at The Willows Inn? This room has a flat-screen cable TV, a microwave, a refrigerator and a toaster. Room includes guest bathrobes. 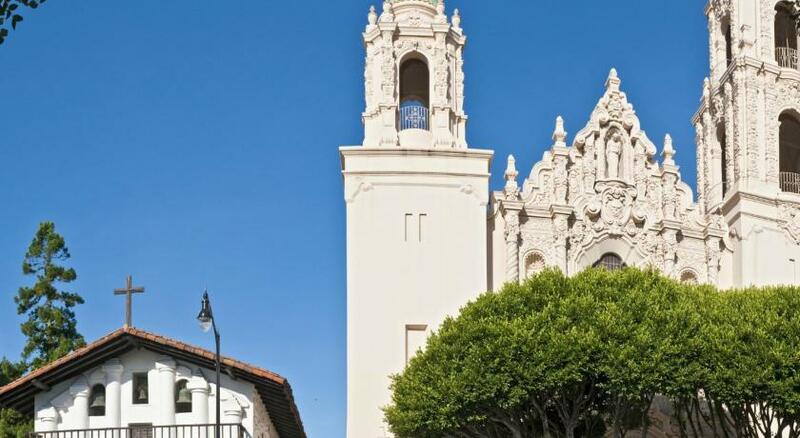 Area Info – This neighborhood is a great choice for travelers interested in convenient public transportation, atmosphere and architecture – Check location Excellent location – show map Guests loved walking around the neighborhood! House Rules The Willows Inn takes special requests – add in the next step! The Willows Inn accepts these cards and reserves the right to temporarily hold an amount prior to arrival. Please inform The Willows Inn of your expected arrival time in advance. You can use the Special Requests box when booking, or contact the property directly using the contact details in your confirmation. Location is perfect: you are in the middle of Castro and 5 minutes away from the city center. Breakfast was really good and generous: it was nice that they had fresh fruit and a variety of bread, so it's not only ultra-processed food. The whole hostel is interesting to explore: I really liked the pictures around the staircase. Finally, bathrooms are pristine and one feels really comfortable there. The front-facing rooms are awesome and it's nice to have a view of the street, however it can be quite noisy with street traffic, construction, people drinking etc. Day and night. Obviously this is not the hotel's fault, but just something to be aware of. In fact they were generous in providing ear plugs. Another small thing, and again, this has nothing to do with the hotel or its staff, but it could be a slight hassle to deal with the shared bathrooms down the hall. At least robes are provided to quickly cover up. Cute, homie vibe with a lot of character. Felt very comfortable. Not like a corporate hotel. Great continental breakfast. Accommodating staff. This didn't bother me, but I could see how some people might not like the shared shower and toilet setup. It feels like staying in a nice boarding house with friends. My shower was right by the breakfast room, which felt a little awkward to head to while folks were having breakfast. I like how attentive the staff was, the continental breakfast was great and also fun to talk to the other visitors. It was a bit on the expensive side considering that the restrooms and showers were for public use and the water wasn't particularly hot in the sink we had. The WiFi was decent, but did not work so well for larger downloads/uploads. Lastly, the location was across from a parking garage currently under construction so it made access a bit challenging. We enjoyed the friendliness of the staff and the proximity to good places to eat. For a place in San Francisco, it was impressively quiet inside which made for a peaceful evening. We would definitely come back! I found michael the night manager very helpful and knowledgeable with information about the city. Excellent hospitality. Very friendly staff. Feels like home. room not so bright as window gives on a close wall - but room is quiet.